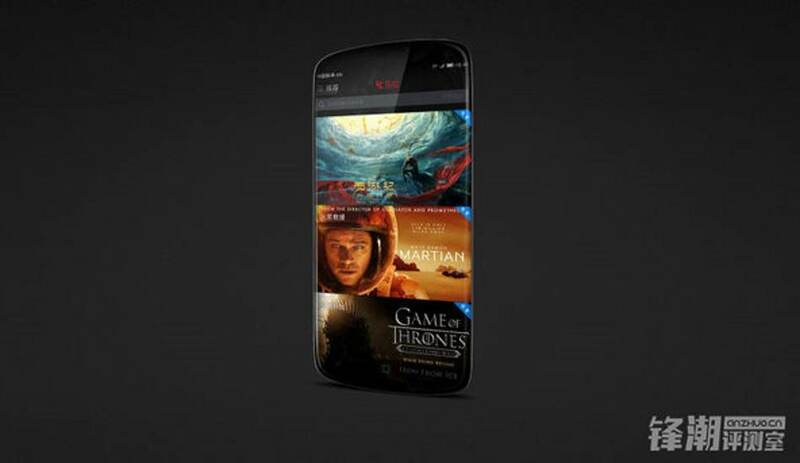 Call it in any way “LeEco (former LeTv), the Netflix of China” or “Netflix, the LeEco of the US”, the company which started as video companies is now surprising the world with the Powerful smartphones. LeEco showed the world how beautiful can the phones be without bezels with their four smartphones; LeTv S1, LeTv S1 Pro, LeTv S1 Max and LeTv 1s back in ’15. Back then, the company claimed to have launched the world first smartphone LeTv S1 Max with the USB Type C-Ports, 4GB RAM and Snapdragon 810 in tow. 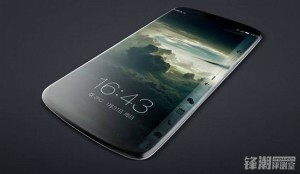 LeEco had been in news for the specs for the design and the specs in the past year but this year, with the announcement of their flagship smartphone Le Max Pro(probably LeEco Le 2), the company is making in the news not only because of the design or the specs but also because of the bizarre pricing (will reveal down below) for the features it is packed with! 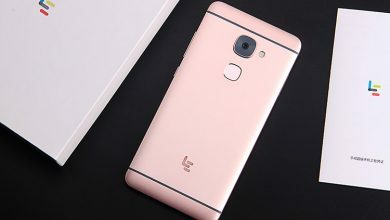 LeEco Le Max Pro has number of firsts for Qualcomm-LeTv partnership (though its LeEco, taking the words of Derek Aberle, serving as the president of Qualcomm Inc.), it is the first device to sport first Qualcomm Snapdragon 820 premium processor, Snapdragon Sense ID fingerprint technology, Qualcomm Quick Charge 3.0 technology and finally will roll on Tri-Band 802.11ad Wi-Fi. Other than the number-of-the-firsts in specs, in design, Le Max Pro arrives with full metal unibody, 5.7 inch IPS LCD display of 1440 x 2560-pixel resolution, pixel density of 466 ppi and bezel-less screen which gives the device elegant and gorgeous look. 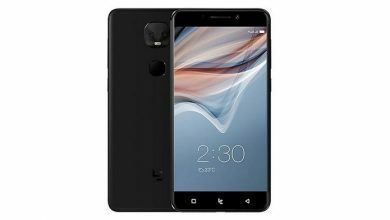 In configuration and OS, Le Max Pro is powered by 2.2GHz Quad-Core Processor working in trio with 4GB RAM, Adreno 530 Graphics and Android 6.0 Marshmallow (Android M). 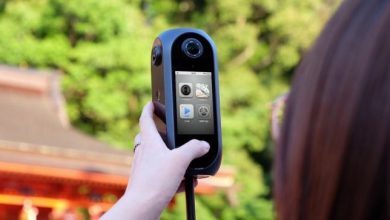 The device has 21 MP rear camera and 4 Ultra Pixel front camera, 32GB internal body storage (ROM) and non removable 3400mAh Li-On battery. 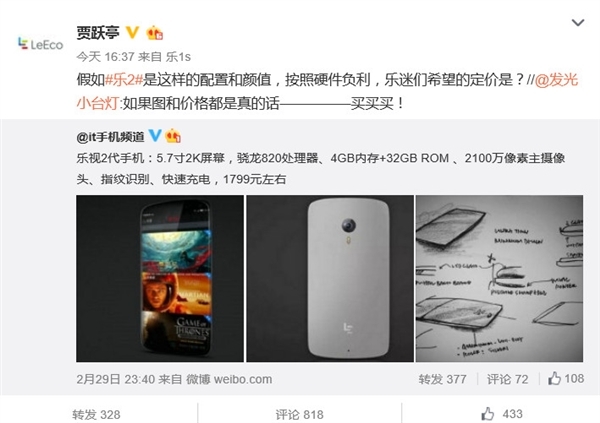 And with the number-of-the-firsts features LeEco, yesterday, revealed the pricing of their flagship smartphone LeEco Le Max Pro as 1799 yuan (approx. 275 US Dollar), the device is supposedly come in two variants X620 and X621 with Qualcomm Snapdragon 820 and Helio X20 SoCs in tow. So what’s your views on this awesome announcement on LeEco Le Max Pro? Give us some comments down here! 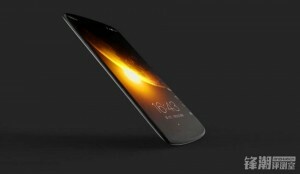 Xiaomi Mi5: Where to buy it before others?